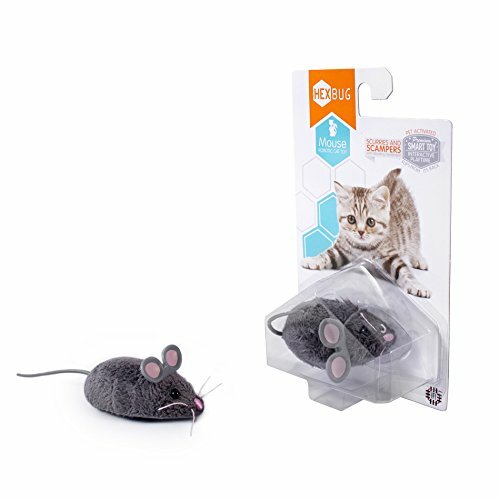 Introducing the HEXBUG Mouse Robotic Cat Toy. This furry feline friend is equipped with cute, playful pink ears and whiskers. When turned on, its soft rubber tail wiggles back and forth as it scampers and scurries along, calling the attention of nearby cats. 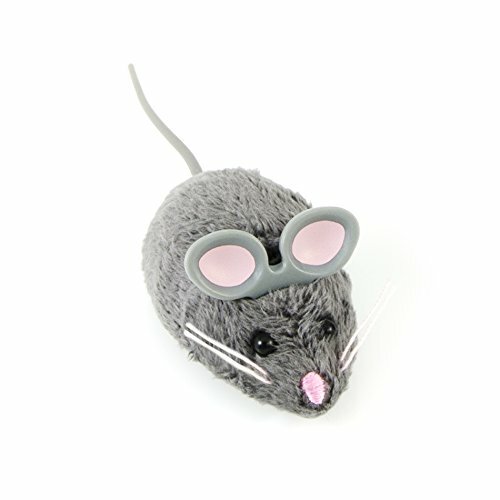 Powered by interactive smart toy technology, this industrious critter exhibits realistic random movement, starting, stopping and pausing just like a real mouse It can navigate around objects, find its way out of corners and flip over from its back to its feet in an attempt to escape its captor. 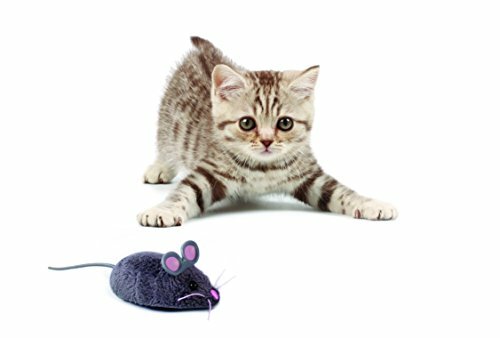 This pet-activated robotic toy plays an engaging game of cat-and-mouse, lying dormant and waking up with the swat of a paw. There are two different modes of operation, paw mode designed for the more docile cat, and chase mode designed for more active cats or kittens. 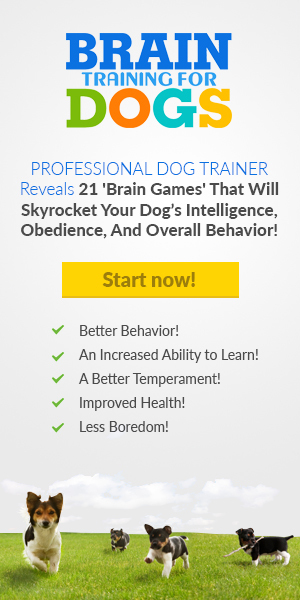 Exhibits realistic random movement, starting, stopping and pausing just like a real mouse!